When cleaning game save the blood, boil it thoroughly. It is a good source of food and salt. The kidneys, heart and liver should be saved, as they are very nutritious. Remember most parts of the animal are edible, including the fat surrounding the intestines, the meaty parts of the head, the brains, eyes, tongue. When I lived in South Africa animal and fish heads were always in demand and were considered a treat. Mice and rats are edible. A friend of mine tells the story of having eaten rats during the Korean War. He says if you are hungry enough, they taste fine. Small rodents should be skinned and gutted, but the heads can be left on. If possible, they should be boiled for at least 10 minutes. Best prepared in a stew. Dog, cats, porcupines, possums, badgers and other similar games is best prepared in a stew with edible plants. If possible, always gut and skin them. Dog and cat livers are especially nutritious. All snakes except sea snakes are edible. I have eaten rattlesnake on several occasion and found it to be quite tasty. Lizards are also edible although they can be hard to catch and not worth the effort. You can expend more calories chasing them than they provide. Many of these food many contain parasites or diseases. Good sanitation and thorough cooking are necessary to preserve your health. The foods mentioned above sound very revolting to many of us. Just remember that in many parts of the world these foods are considered delicacies. I have a friend who was raised in Viet Nam and one of the things that he misses is rat. So it is all in the mind, you just have to make up your mind to eat what is available. This entry was posted in animals, cooking and tagged cooking, Howard, mice, rats, rodents. Bookmark the permalink. I was watching a TV program about foods eaten in back water red china and in it they featured a gourmet restaurant that sells rat. They said you should not eat more than 3 because it thins the blood and causes bad nose bleeds. Has to do with an enzyme in the meat. Also, don’t eat carrion like Bear Grylls supposedly did on show once. It came out from the crew later that he actually was eating a big mac hidden behind the meat outside the camera view. The risk of getting sick from dead rotten meat out in nature is too high. My father grew up during The Great Depression. For us ( I was about 7-9 years old) he cooked many strange things–squirrel, eel, frog legs, turtle. I ate none of it. My uncles killed a raccoon. Mama said it was the first meat that I had ever let pass through my lips. I was four. My aunts and uncles were not squeamish. I suppose I have eaten too well in my life. Just found a copy of Fannie Farmer 1896 cook book at a thrift store. This book contains a wealth of information on cooking things the old way. Good addition for anyone’s library. 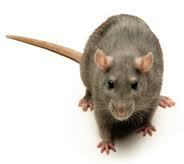 Be careful handling rodents or sweeping up their droppings in NE Arizona and NW New Mexico because of hantavirus. Wow and I thought artichokes were odd food(just ate them for the first time yesterday lol). I have had rattlesnake and it’s pretty good. Squirrel can be decent also. I might be a little worried about rats, but many people eat guinea pigs and rabbits. Don’t over look such thing as beavers and muskrats. both are easy to trap/snare and are simple to cook . around here [GA} they are very available.